We went to Iceland by plane. The car was put in a container together with 3 motorcycles. 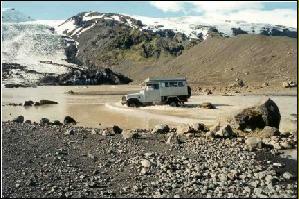 In this way we had 4 weeks to drive around Icaland, to see theese fantastic landscape, especially the deserted center, with lavafields, glaciers and rivers to cross. 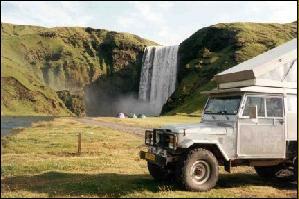 Skogafoss waterfall, where the campground is just besides. Gletscherlake Lonid at the Myrdals-jökull. 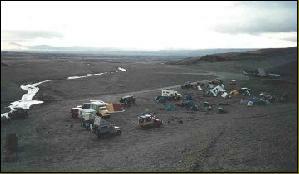 The ground in front of the volcano Askja has that very special atmosphere that is in places hard to reach. The Toyotas fighting there "way"through water. 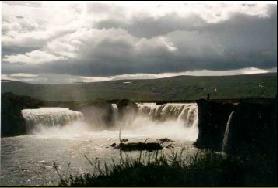 Waterfall Godafoss between Akurayri and Myvatn. Of course we had to get stuck in snow. 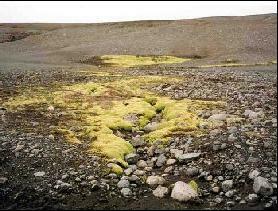 Even in the lava-fields it needs only a little water for flowers to grow. The track had to be repaired, for the vehicle to pass. Sunset and cloudformations are always worth a picture. 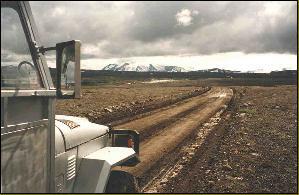 Roadintersection in the deserted lava-fields. 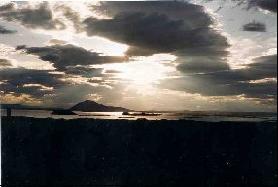 "The blue Lagune" with the power station in the background. The two Michael's push the motorcycles over the wade. 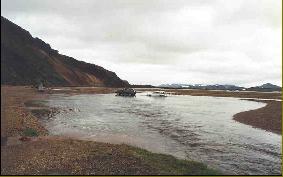 There are two streams to cross, to get into Landmannalaugar . Sign with all the warnings, is only seen where things can be very dangerous.